Last Wednesday was Bluebeard Day. It was Day Fourteen of a twenty-one day challenge I had set myself, to write consistently, every day, without getting diverted into other things and grinding to a halt. The challenge was interrupted to some degree by my car accident but that didn’t stop me writing. I finally observed the moment where I began rewriting instead of pressing on to the end. In the rewriting, I began doubting my ideas and the self-criticism took a strangle-hold until I could write no more. Well, Bluebeard, I have a bloodied key. The secret door stands open, and I’m afraid my brothers are gonna get you now! Confronting giants calls for Runes. In fact, it was one of those revelatory moments where I suddenly grasped the difference between the times that call for I Ching and the times that call for Runes. This one wanted Runes. Before I went to sleep, I donned my most magical pendant (the one pictured – I made it myself) and drew three Runes from my runebag. 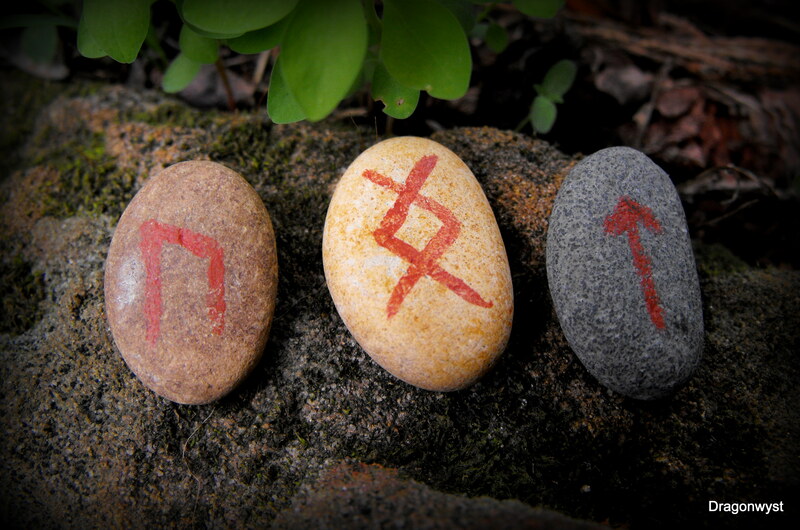 By tradition, the first rune represent the past, the second the present and the third, the future. I use the Anglo-Saxon Futhorc and my interpretation is the result of working with the Anglo Saxon Rune Poem, researching and listening to what my subconscious tells me rather than using other people’s interpretations, thus my interpretations may be a bit different from others out there. The aurochs represents, strength, survival, building of psychological/spiritual muscle. It is a gathering up of all the knowledge gained from life experiences that are brought to this moment. The ranger of the moors – has a wide area of dominion. It uses its strength to fight, to protect. Ing is Freyr – a pastural god – Cernunnos in Swedish/icelandinc terms.The presence of a god invokes higher calling, compulsion. Gods bring tasks and challenges and purpose. When a god is present it represents the need to look for a lesson or purpose or meaning behind apparent events. It is an invitation to grow, take the meta-perspective. This is the rune of destiny. 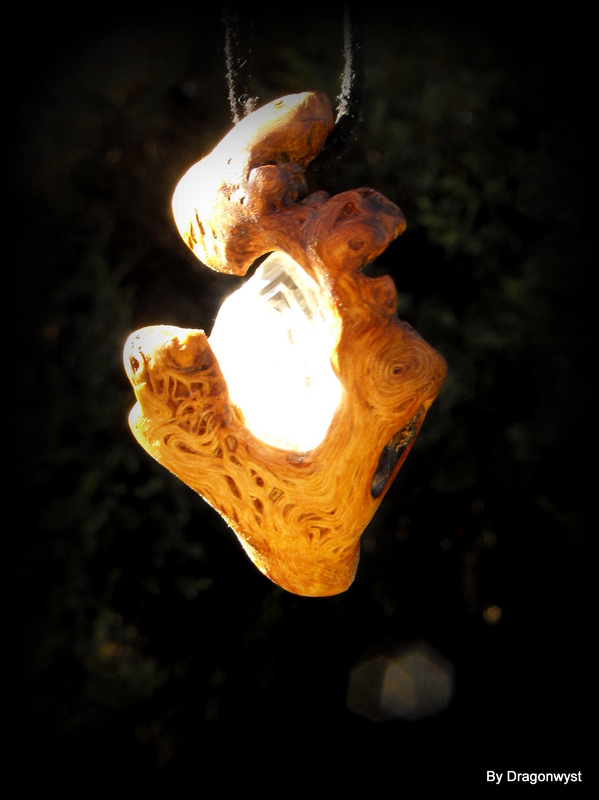 It is what calls us forward through to our future and watches over the unfurling of our life’s calling. It is the rune of the path. Other runes my describe aspects of the path, but this rune is the path itself – a silver line that calls us forward through rough and smooth, high and low, darkness and light. Thus, I bring all of my strength built up from my past experiences to bear on this present moment, an invitation to grow and take a meta-perspective while looking towards destiny. Because my sun sign is Taurus, Ur is especially significant to me and can also represent me personally, thus making it that much closer to the heart. As I contemplated these three runes, I realised that these are really life runes for me – the kind of runes I can apply at any moment – bringing the strength of everything I have learnt and gained in the past to the present moment, where meaning is being forged and fresh instruction given, to spur me on towards my destiny. These runes then, are my brothers, come to my rescue. By these runes, Bluebeard is vanquished. ~ by Dragonwyst on March 9, 2013. Runes have never actually helped me write. Good luck. If this method works for you, I say go for it! Love your posts Dragonwyst, thanks for sharing so much.